we used bunny grahams and they were oh so cute!! and a pretty ribbon with the instructions attached! 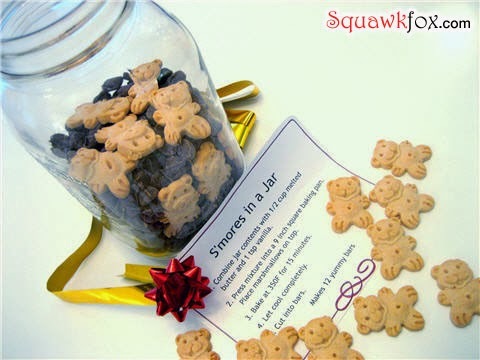 These were fun to make, and the instructions and printable labels are on the website. They were really rich, and very messy, but for those who love S'mores like my daughter does, it really hits the spot when you don't have a campfire handy. 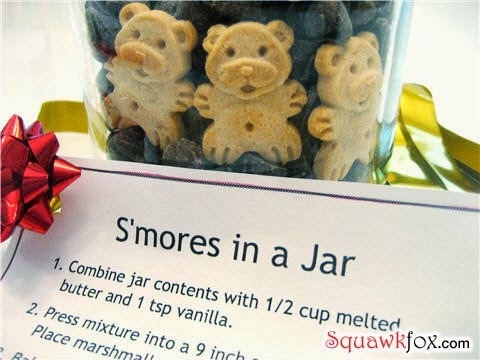 There are several other recipes on this site, 8 in total, but we only tried the S'mores in a Jar.